The days of military honor were established in the Russian Federation to commemorate the most glorious victories of the Russian army during the years of its existence. One of these days, Siege of Izmail Day, falls on December 24. The Siege of Izmail was the operation conducted by Russian Generalissimo Alexander Suvorov during the Russo-Turkish War. The siege took place on December 22, 1790. Several attempts to siege the fortress were made during 1790, but they were not successful. However, they weakened the forces of the enemy, that is why the last attempt that was made by the Russian army on December 22 brought success. The Russian soldiers attacked the fortress early in the morning and by 8 am the fortress was sieged. The army met resistance, the street fights continued till 4 pm. 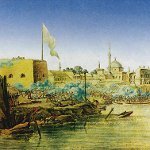 During the siege the Turkish army lost 26,000 soldiers and 9,000 were captured, the losses of the Russian army were several times less. Originally the battle took place on December 11, according to the Julian calendar, This date corresponds to December 22 of the Gregorian calendar. But due to the further differences the date had to be moved to December 24.